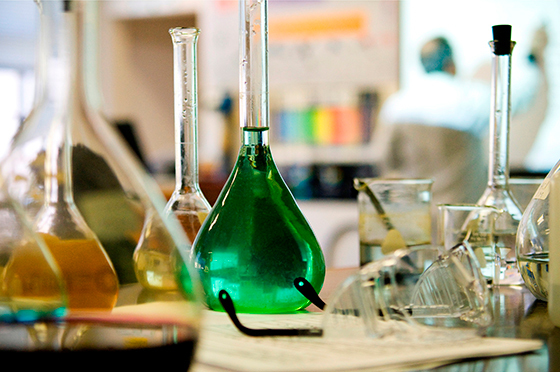 From a student’s perspective, one barrier to understanding and getting to grips with STEM subjects is misunderstood exposition on the part of a teacher or instructor. As professional educators we must pay constant attention to not only what we say or present, but also to how we say and present it. The reason is crystal clear: a concept that may be self-evident or even obvious to us, will likely appear in opposite terms to those whose education we have taken a responsibility to enhance. From an educator’s perspective, students have a responsibility to engage with the subject, especially if they desire long-term academic achievement and success in a STEM-related career. Somewhere in the middle of this paradigm is the notion of misconception in STEM subjects. There is no single or simple answer to this question; it really does depend on context. Misconception of a scientific observation permeates the whole corpus of knowledge and history of the discipline in its widest possible sense. Think of the geocentric model of the solar system which was accepted on practically doctrinal terms from the time of Aristotle until the observations and proposals of Nicolas Copernicus, almost 1500 years later, set the scene for the scientific revolution. With this in mind it is crucially important to appreciate that when our grade 7 students are struggling with diffusion as a concept, which is framed within the kinetic theory of matter (or the particle model), their misconception has its roots in the unfamiliarity of an abstract reality. The glaringly obvious methodology by which to circumvent such misunderstandings is to demonstrate diffusion and the thickness of atoms with the kind of techniques we learn when we undertake the supremely nerve-racking choice to stand in front of classes of 25 children everyday and explain how the world works to them. In this frame, misconception is a healthy component of the scientific method. The “why” and “how” of a given observation is explained and framed in a manner that the pioneers of science would employ today and would have been employed over the last 500 years. As an experiment in exposition, take a look at any popular science TV programme and you’ll see exactly what I mean. If the physicists working on the Large Hadron Collider at CERN near Geneva can explain the difference between a gluon and a positron to a mass audience, we as professional educators can explain established scientific concepts to our students. I took a grade 8 class who had been taught for two months by a non-subject specialist. Imagine myself teaching Mandarin Chinese and you’ll get the picture of the result of this folly. The class thought that Newton’s third law was untrue because it had not been explained properly. This, despite my assertion that the laws of motion are what holds our solar system together and allowed the voyager spacecraft to undertake the “grand tour” of the planets. In short, the class needed proof that my idea was right and that their idea was wrong. So, what do you do? You get the whole class to come outside and line up on the playground wall, get them all to take a deep breath and push as hard as they can for as long as they can, with both hands against the wall. Then you ask “If Isaac Newton’s third law of motion is untrue, then why don’t you fall through the wall?” Then ask them all to stand up straight and jump up and down five times, then pose the same question. In essence, misconception in STEM subjects is an essential component of the whole teaching and learning experience. The trick is to engage with it and treat misconception in STEM subjects as an educational and positive challenge in its own right. 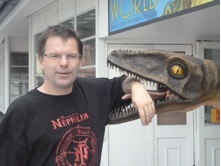 Mark is a science writer teacher and tutor of over 8 years experience and currently lives in the UK. Before teaching Mark worked in the charity / not for profit sector as a fund raiser, administrator and communications assistant.